Eucalyptus, radiata, Organic: 10 ml. Our USDA Organic Eucalyptus radiata oil is sourced from South Africa and is a clear pale-yellow liquid with a strong distinguished aroma. The radiata variety of Eucalyptus is a more gentle and mild species than the globulus. Cautions: Avoid if you have high blood pressure or epilepsy. For external use only, this is considered toxic if taken internally. Dilute before use; may cause skin irritation in some individuals, so a skin test is recommended prior to use. Avoid contact with eyes. According to Essential Oil Safety by Robert Tisserand, as a Safety Precaution - Avoid all varieties of Eucalyptus except Eucalyptus dives with Children under 10 yrs old due to Potential Respiratory Distress. 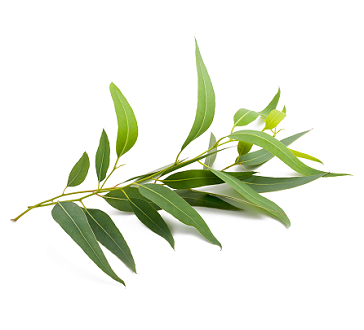 Eucalyptus radiata / SD-O / South Africa / Leaves Our USDA Organic Eucalyptus radiata oil is sourced from South Africa and is a clear pale-yellow liquid with a strong distinguished aroma. The radiata variety of Eucalyptus is a more gentle and mild species than the globulus. Botanical Name: Eucalyptus radiata Main Constituents: 1,8-Cineole: 69.41% Plant Part: Woods and Leaves Origin: Australia Processing Method: Steam Distilled Description / Color / Consistency: A thin, clear to pale yellow liquid. Aromatic Summary / Note / Strength of Aroma: A top note with a strong aroma, Eucalyptus Radiata Essential Oil has a crisp, clean, camphoraceous aroma. Blends With: Basil, Cajeput, Cedarwood, Citronella, Ginger, Lavender, Lemon, Myrtle, Frankincense, Spearmint and Tea Tree. Product Abstract: Eucalyptus Radiata is also known as Narrow-Leaved Peppermint. The young trees have oval bluish-green leaves while the mature trees develop long, narrow, yellowish leaves, creamy-white flowers and a smooth, pale grey bark. Eucalyptus leaves are the favourite food of Koalas, and have been used as traditional medicine by the aboriginal peoples of Australia. Eucalyptus Radiata is preferred over Eucalyptus Globulus because it is less harsh. Cautions: Avoid if you have high blood pressure or epilepsy. For external use only, this is considered toxic if taken internally. Dilute before use; may cause skin irritation in some individuals, so a skin test is recommended prior to use. Avoid contact with eyes. According to Essential Oil Safety by Robert Tisserand, as a Safety Precaution - Avoid all varieties of Eucalyptus except Eucalyptus dives with Children under 10 yrs old due to Potential Respiratory Distress.